As the saying goes, it’s not easy being green. Here at the zoo, we’ve started making big strides towards becoming more and more sustainable in our operations. 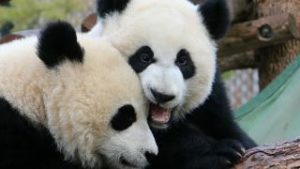 After all, our vision at the zoo is to be Canada’s leader in wildlife conservation—but what’s wildlife without a healthy planet and ecosystem to support it? You’ve heard it before, all the little actions we take add up and make a real difference. 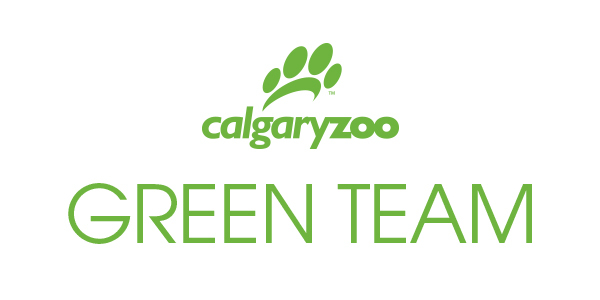 Not only are we continuously looking for more ways for the zoo to be more sustainable, but our staff are passionate about walking the talk to support our green vision. 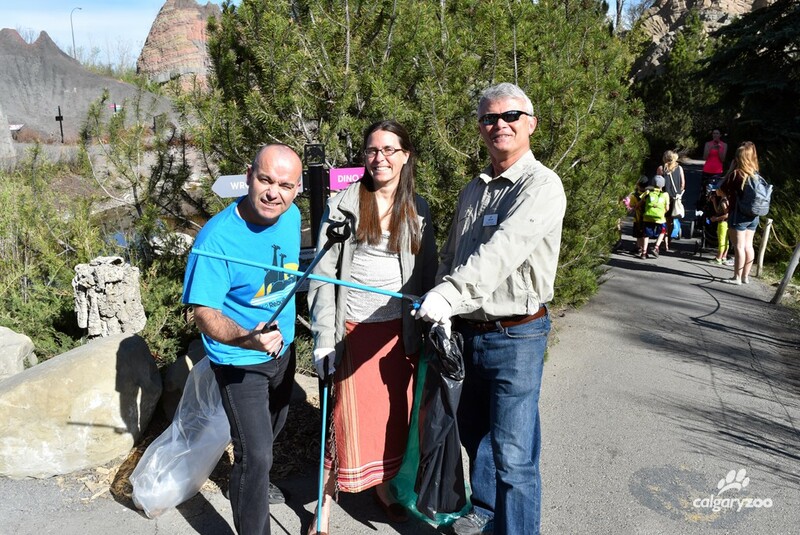 Zoo staff took to the grounds to make a difference on the first bi-annual Environmental Clean Up Day of 2016. Last year, we formally started a Green Team—a group of employees who harness the energy of staff and direct it into accomplishing green projects. We may have just formally started the Green Team but we’ve been doing good things for a while behind-the-scenes. Now we’re ready to ramp up our efforts and share them with you! 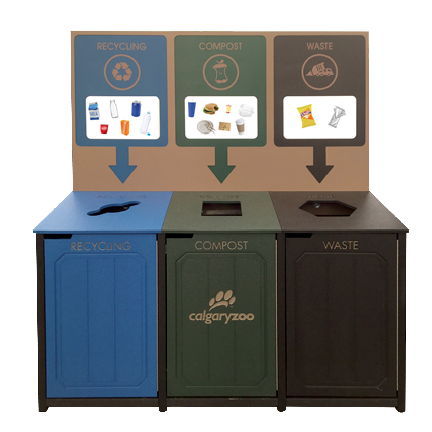 The Calgary Zoo is introducing three stream bins- making composting and recycling at the zoo as easy as 1, 2 , 3. Today is Earth Day and we thought it would be the perfect opportunity to launch our latest Green Team project. We’ve got 20 new three-stream bins (compost/recycling/waste) located near Kitamba Café, Penguin Plunge Café and concessions outlets throughout the zoo. These new bins will help reduce the amount of waste that ends up in landfills which is great news for the planet! We’ve taken it one step further by supplying only compostable/biodegradable or recyclable packaging and utensils at our food service locations, which means after you enjoy a delicious lunch at the zoo, you can compost your items and feel good about it. Not sure what goes where? Look at the back-boards on the bins for pictures of commonly purchased items to help you put things in the right bin. Take a look at the Green Team’s new website which explains some of our current green practices and houses handy recycling guides. If you’re inspired, we encourage you to take action yourself at home to reduce, reuse and recycle everyday (not just Earth Day! ).